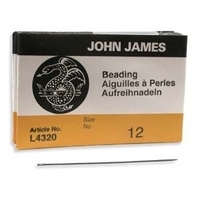 Make sure you choose a beading needle that's appropriate for your project. 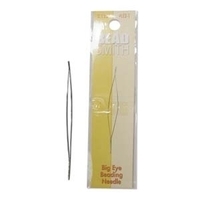 Choose from sharp, regular, extra long, BIG EYE and flexible twisted steel beading needles. 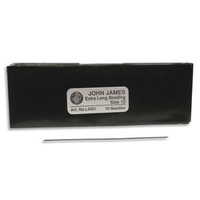 See sidebar for needle sizing information. 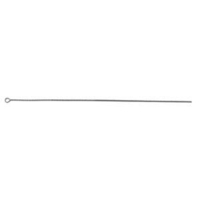 The general rule for needle size is the bigger the number, the finer the needle. 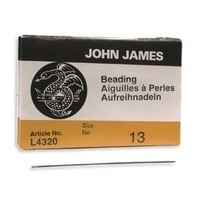 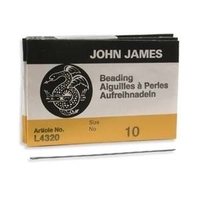 John James size 15 beading needles are the thinnest and can be used with smaller seed beads or beads with small holes. 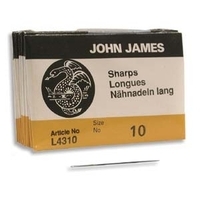 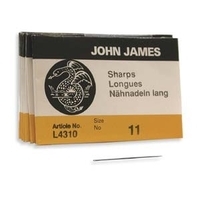 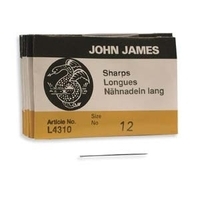 The John James size 10 beading needles are the thickest and can be used with larger beads or beads with large holes. 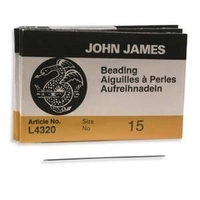 As you can see, the flexible twisted steel beading needle sizing is the opposite of the John James beading needle sizing. 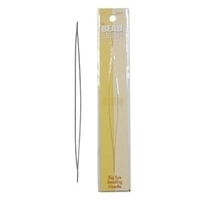 See our sizing chart to help you choose the right needle size for your thread size and seed beads.